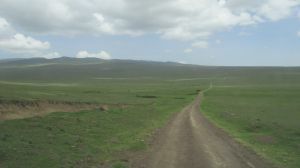 A moving black dune, composed of volcanic ash from the nearby volcanic mountain - Oldoinyo Lengai, that is moving slowly westwards across the Ngorongoro plains at a rate of about 15 to 20 metres per year. It is normally about 8 metres tall, 30 metres wide and 20 metres long from front to back. 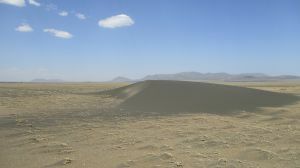 Apart from this dune there is little to no sand or ash in the surrounding areas and the shifting sands are moved by the strong winds that blow across the surrounding plains, a condition that sometimes creates a mini sand storm in the areas that surround it, making it difficult to see or visit the dunes. However; when it calms down it becomes possible to even climb to the top of the dune for photos or view the vast plains around it. 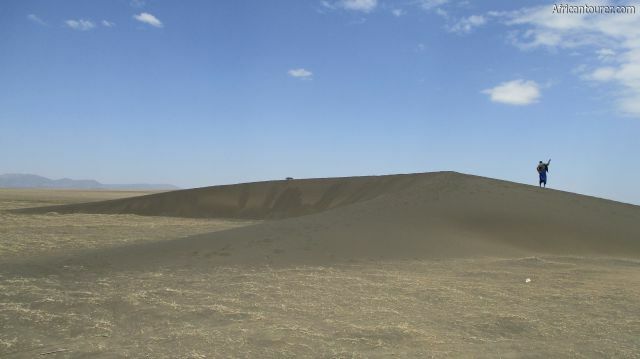 It is said that the dune was created over 3,000 years ago from a massive eruption at Oldoinyo Lengai - an active volcano, that is located about 60km north east. Throughout the years, the dune has slowly crept along, sometimes changing shape and even direction. 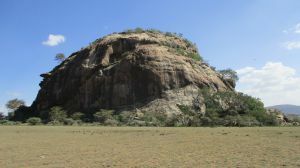 Records show that the dune's movement was originally headed southwest towards the river in the nearby Olduvai gorge, creating fears among local about its demise, only to change direction and head west. There also is another much smaller dune about 3km north that is said to have been part of the current one, before splitting and heading in its own direction. What to do there?Admire the unique phenomenon, take pictures or even better yet see for yourself the large distances that the sands cover in a year. When done, you could also visit other attractions in the vicinity (see section after map below). Best time to visit?Any time of the year or during the wildebeest migration for an added experience. 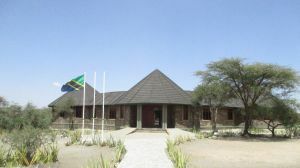 The shifting sands are located in the north eastern plains of the Ngorongoro conservation area, in northern Tanzania. 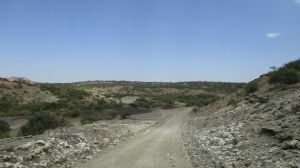 The larger of the two is located about 2 km north of Olduvai gorge, with the smaller one being a further 7km from the gorge. For more information on its location, please see the map below. How to get thereVia a 4x4 ride as the bit from Olduvai gorge to the sands requires driving over sandy roads. (see the NCAA website for more info). Are you associated with Shifting Sands ? Contact us to improve this page or create another page for your business.